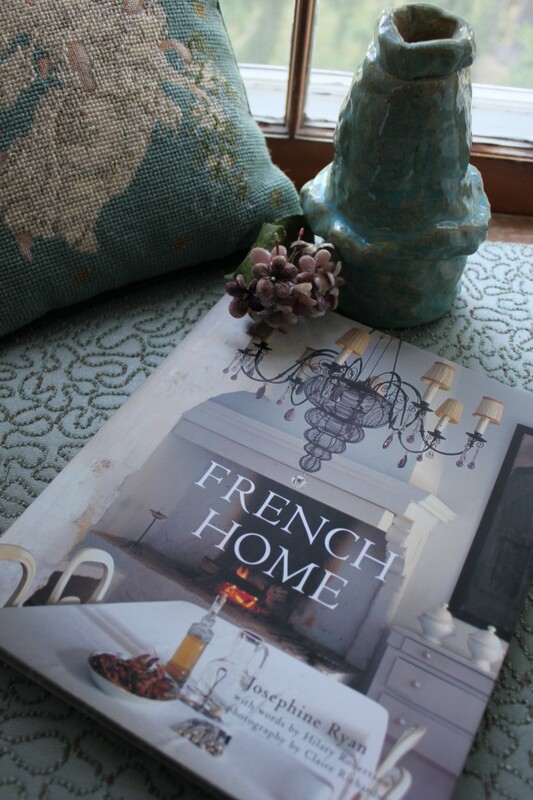 I have been crushing over the color Indigo all winter. None of the paint companies have proclaimed it as an “official” color of the year, but it’s showing up everywhere. 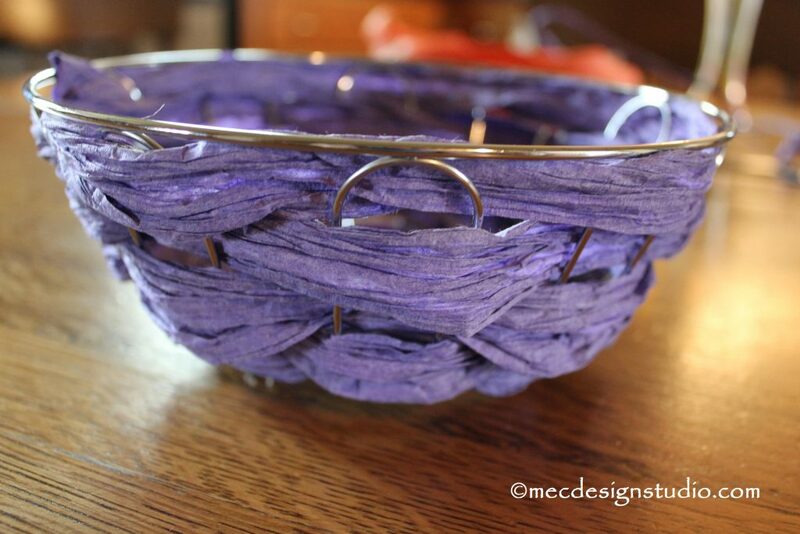 It’s the color between blue and violet on the color wheel, but I compare it to a well-washed chambray shirt. 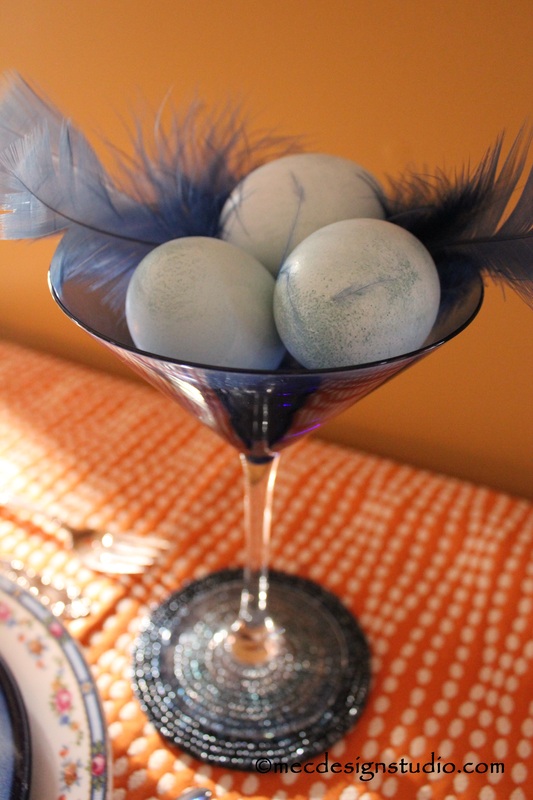 So I was inspired to dye Easter eggs in shades of blue using natural food products. 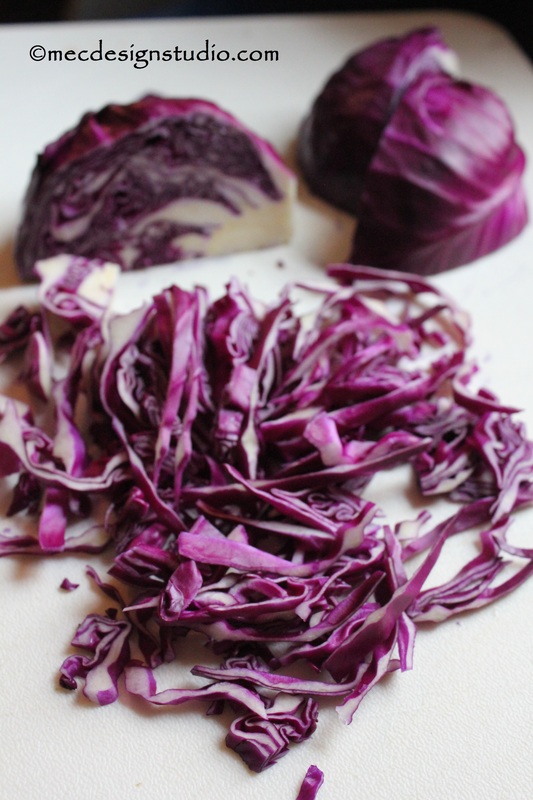 Did you know red cabbage turns eggs blue and blueberries turn them purple? I love the results, I just wouldn’t recommend doing this with little kids. It took over 12 hours to get this color! I don’t about yours, but my kids were done coloring eggs in 12 minutes! Finely chop the cabbage.Since I could only find organic cabbage at $3.49 a pound, I just bought 1. Put it in a pot and add enough water to cover it. 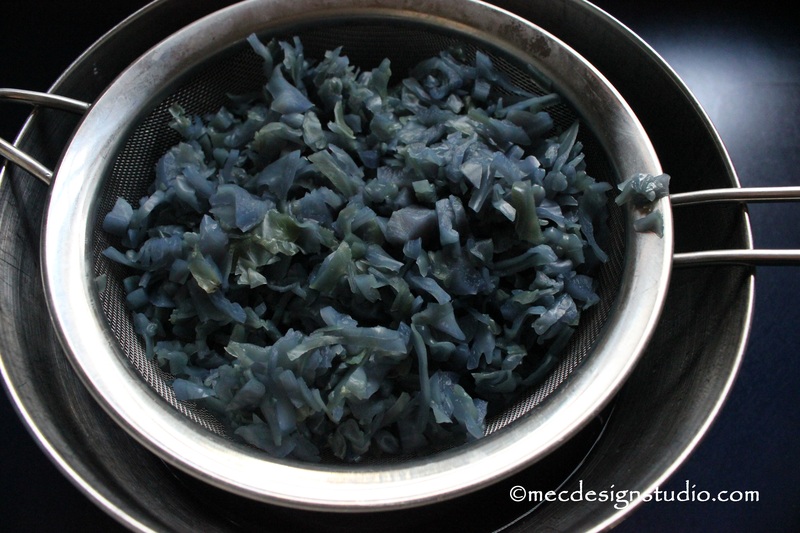 After if comes to a boil, let it simmer until almost all the color is cooked out of the cabbage. About 30-45 minutes. Pour off the liquid into a stainless steel bowl, add a heaping tablespoon of white vinegar and submerge hard boiled eggs. Do the same with blueberries. 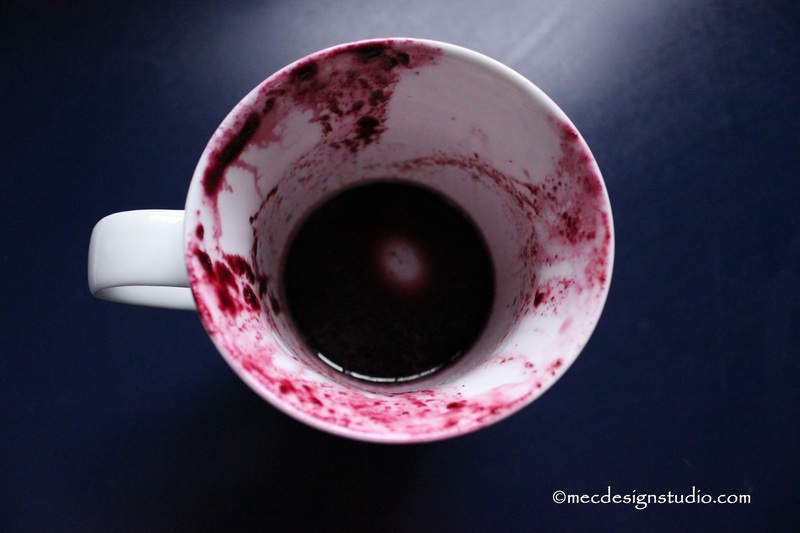 Boil 2 cups of frozen berries in enough water to cover them completely. When the berries are soft, pour the juice into a stainless steel bowl; reserve. Mash the berries through a strainer; add the strained juice to the reserved boiled juice/water. 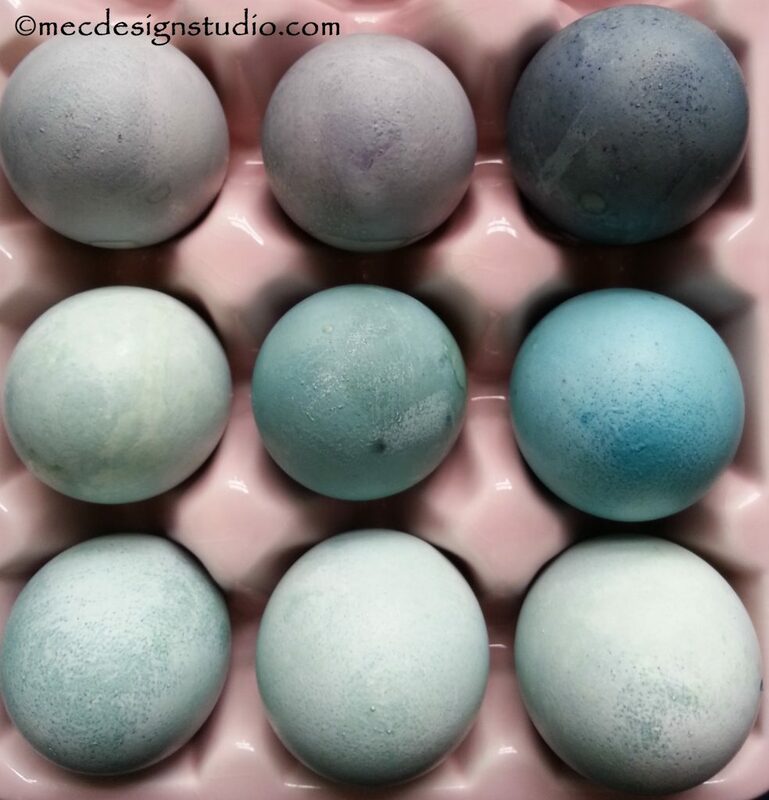 Eggs dyed in blueberry juice took the color much faster. 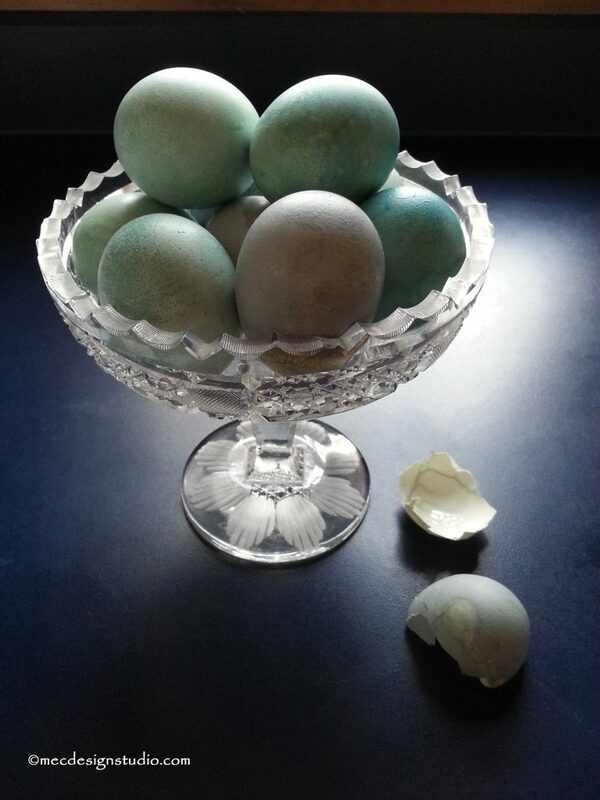 Since this is a very grown-up project, I decided the eggs needed to be displayed in a more sophisticated way than a basket. In a cut crystal bowl for example. Very elegant. Or on a vintage silver platter with dome. Surprise Madame! Maybe in a martini glass. Very Mad Men-esque! 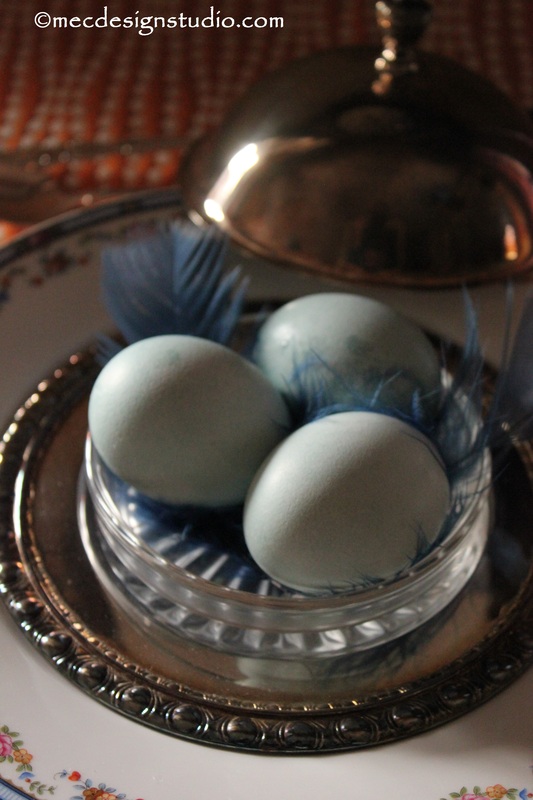 What do you think of grown-up Easter Eggs? I think they’re très chic!